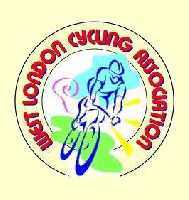 The West London Cycling Association has a long history. The many trophies of the Association show an interest in diverse aspects of cycle racing and even a walking race. In the last few years it has been solely concerned with Cycle Time Trials. Popular courses have been used and provide Association riders with a chance to obtain "personals" in events, which if fully open, would have been so oversubscribed the slower riders would have been excluded. The association BAR was originally contested using only Association events but as the program has shrunk the 100 and 12 hours times/distance can be achieved in any event in the RTTC national handbook. The rest of the times must be achieved in open or association events on "H" courses. The SPOCO trophy donated by the late Alf Whiteway is not as keenly contested as Alf would have hoped but this may be due to lack af advertising. This WEB page may help to correct that. The qualifying events are listed on the SPOCO page.